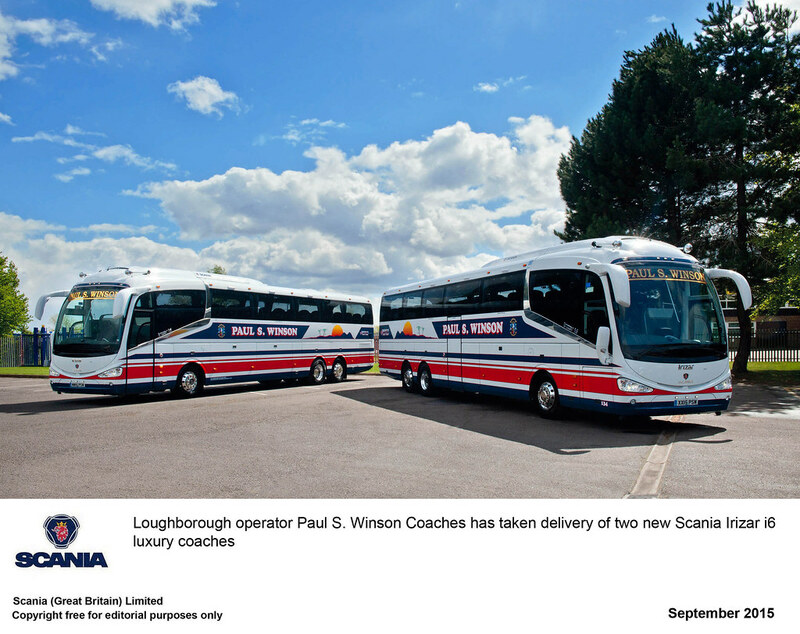 Loughborough-based operator Paul S. Winson has purchased another Scania Irizar coach. 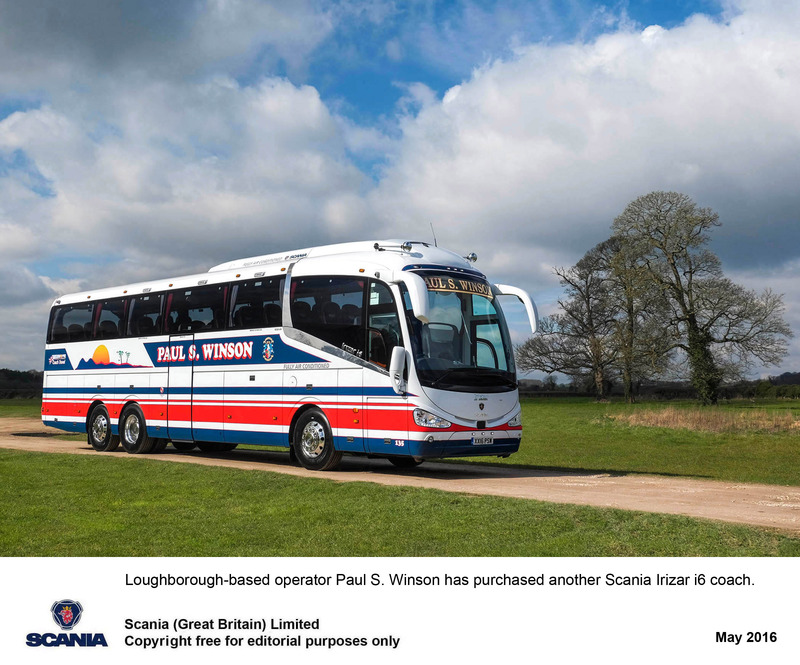 Based on Scania’s Euro 6 SCR-only K 410 EB Chassis with13.2-metre Irizar i6 bodywork, this vehicle was awarded the prize for Best Scania at the 2016 UK Coach Rally. The vehicle is equipped with 53 reclining seats, centre sunken toilet, drinks machine, DVD player and two monitors and Durabright Alloy Wheels. 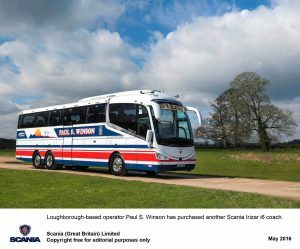 Click here for news of previous Paul S. Winson deliveries.